Ah, the Academy Awards. That little golden statue can make or break someone’s heart, confidence, moral, and everything in between. Although the Academy usually is spot on when it comes to the quality of a motion picture, an actor, a director, etc. sometimes it really just hands those things out to anybody, like it was a pack of gym on recess. Academy voters sometimes really do tend to make downright bizarre decisions. Without any further due, here are the 15 worst Oscar winning movies of all time, which did not deserve to take home the little, naked, golden man. Let’s get something straight here: this is a good movie. It may be dull to some, but honestly, it’s a good movie with an interesting story. We guess. 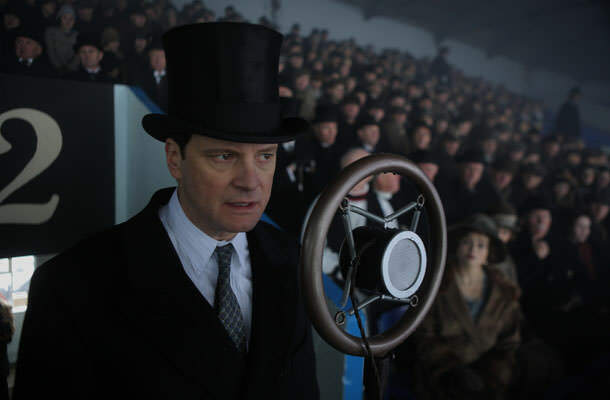 The King’s Speech is a straightforward story about a man overcoming difficulties and getting in return good results. Sure, the man is a king and the difficulty is his speech problem, but hey. It was a crowd-pleaser so naturally it got an Oscar because it’s so artsy and deep while being simple at the same time. Yeah well, that all may be true but it didn’t deserve an Oscar. It actually beat out The Social Network, The Fighter, Black Swan, Toy Story 3, Inception, and Winter’s Bone in 2010. Yes, you’ve read that right. If they just pulled a movie out of a hat, it would have been a more satisfying option for a winner. HOW DARE YOU SAY THAT ABOUT ‘HOW GREEN WAS MY VALLEY’. You, obviously, are the one who has “no soul whatsoever”. Good day sir! (or m’am).